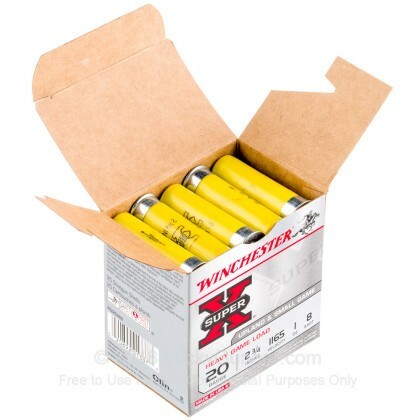 Take to the field with your handy 20 gauge and this versatile, cost-effective birdshot load from Winchester. Each shell in this case of 250 fires a full ounce of plated shot at 1,165 feet per second. This results in a dense pellet spread and good patterns at medium range for upland bird hunting. 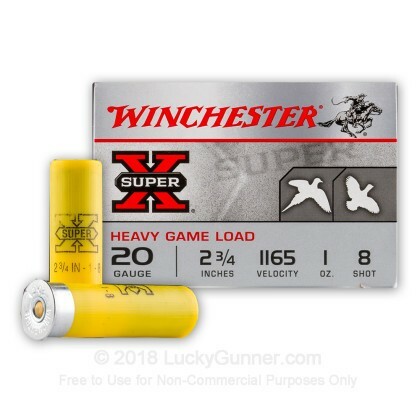 Super-X shells are loaded in the USA with Winchester 209 primers, one-piece hinged wads, and clean burning powders for optimal performance and lower felt recoil. 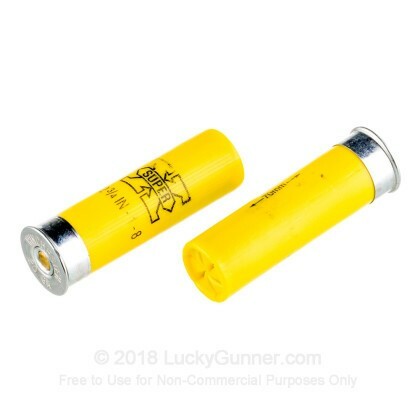 20 gauge shotshells can be distinguished from other types by their distinctive yellow hull. 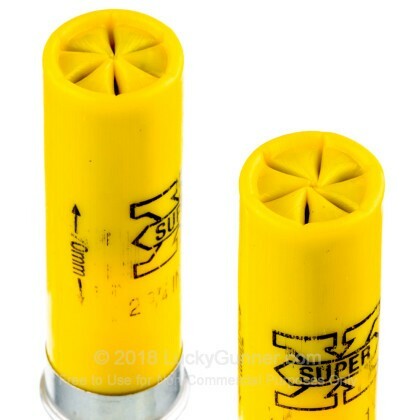 This helps prevent accidental mixing of 12 and 20 gauge ammunition, the most common shotgun shell types in use today. 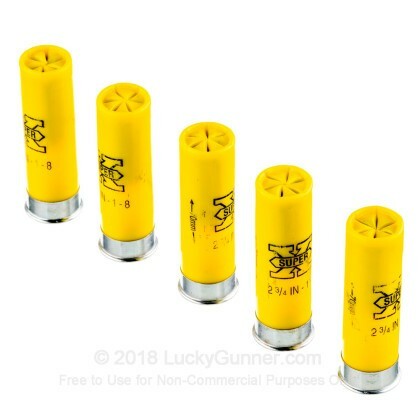 Q: Will LuckyGunner add 16 gauge ammo to the inventory? When I buy 16 gauge, I have to use other suppliers. 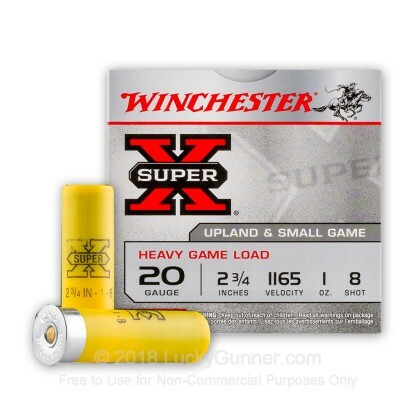 We also have this 20 Gauge - 2-3/4" Super-X #8 Shot - Winchester - 25 Rounds ammo in stock in a smaller quantity.